Make a paste of banana and milk and apply on your skin for 15-20 minutes and wash it off with cold water. It will give you soft and glowing skin. For smooth, supple and glowing skin blend a half cucumber and 1 table spoon of yogurt in mixer then apply this of your face and neck. After 15 minutes rinse off with fresh water. For naturally glowing skin in summer season try to daily wash your face with rose water. Its natural cooling properties make it an excellent toner for the hot summer season. Mix cucumber juice and watermelon juice in equal proportions and apply on face and neck.Keep this mixture at least for 20 minutes then rinse off with cold water. Make a paste of papaya Pulp and lemon juice and apply on your face for 15-20 minutes and then wash it off with cold water.It will give you smooth and glowing skin. For soft and glowing skin you can also make a home based pack by 2 table spoons of mashed papaya,1 table spoon of honey and 1 egg white. Mix them well and apply on your face and neck.Leave this for 15 minutes then rinse off with cold water and feel the freshness of soft,smooth and glowing skin. Lemon is a natural bleaching agent and can help remove the tan from your face. Lemon contains ascorbic acid due to which it can easily bleach tanned skin. Simply squeeze a lemon into a dish. Soak a cotton ball into the lemon juice and apply it all over your face and neck. Lemon is also considered best to give you glowing skin.Although Lemon is supposed to be a natural bleach but be aware that it dries the face. That' s why apply a good moisturizer or almond oil after washing off lemon. Massage of Coconut water on the skin also give you soft, supple and glowing skin. Daily facial massage with coconut water will give you an amazing result within few days. 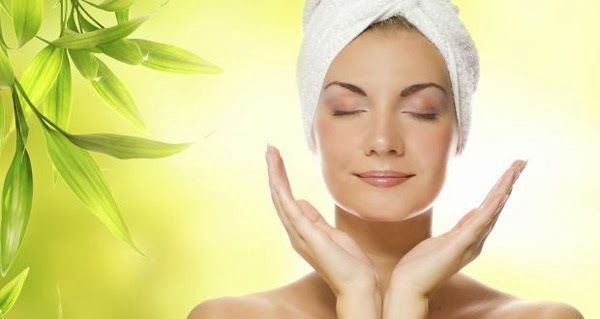 For fair and glowing skin even in summer season massage your skin with mixture of lemon juice and honey because both Honey and Lemon are best natural bleaching agents for sun tanned skin. Don't forget to weekly exfoliate your skin with a good scrub.You can also make a good scrub at home by 4 to 5 table spoons of gram flour(besan), a pinch of turmeric(haldi), 5-6 drops of rose water and milk or yogurt. Mix them well to form a paste and use it to exfoliate your face and neck. For fair glowing skin apply natural moisturizers such as milk cream, yogurt or honey to your skin everyday and keep it for 15-20 minutes and then scrub it off with besan flour. (i). Always apply a good sunscreen 30 minutes before you step out. (ii). Avoid direct exposure to UV Sun rays and make use of hats, sunglasses and full covered dresses. (iii). Try to stay indoors between 11am and 3pm because during this time period sun’s rays are the strongest and can have an adverse effect on your skin. (iv). Wear loose fitting cotton clothes to release the trapped moisture so that your skin can breathe.